Many environments within a health care facility require pressure monitoring in order to protect patient health. Even spaces like hospital linen closets require some sort of indicator of positive or negative differential pressure. A lot of facilities currently still use physical air flow indicators, commonly called a “ball in the wall” to fill this need. While these devices are inexpensive and meet the minimal threshold for compliance, they still pose many issues for users in the future. There are ways to add on audible alarming to a ball in the wall, but this can push costs into a category where there are simply better products in the industry. 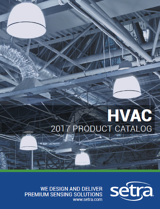 More advanced products can be configurable to alarm on multiple parameters like temperature and humidity without being susceptible to the other drawbacks encountered by a ball in the wall indicator. Many air flow indicators work by air flowing through them. This can cause major recurring headaches for users. Flow-through devices can clog over time (often with bed linen fibers or even infectious agents) that must be routinely cleaned and maintained. Alternative solutions use dead-ended sensors that never get clogged, don’t require regular maintenance, and don’t let anything harmful pass through. 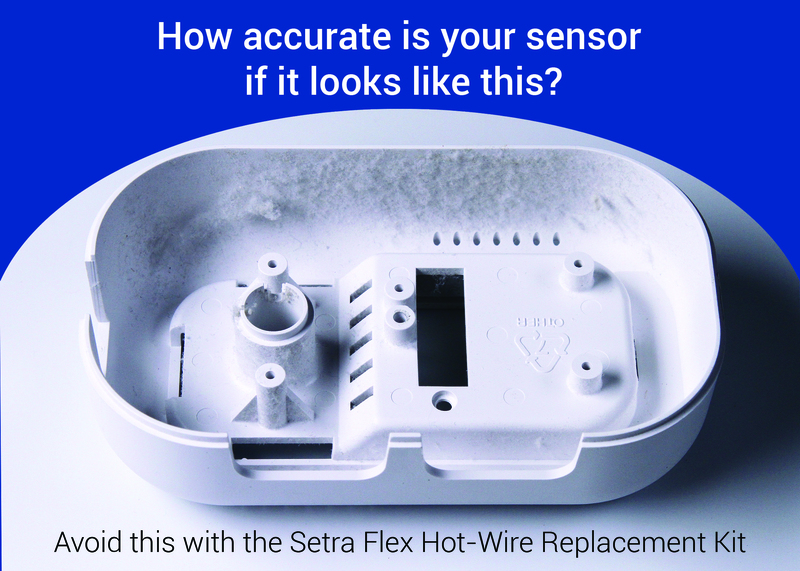 Setra also has a Hot-Wire Replacement Kit to easily replace old hot-wire anemometer room pressure monitors with no construction needed. Organizations like The Joint Commission are only becoming more rigorous in their inspections. A walk-through can show if rooms are in compliance, but there is no data to show an inspector about past performance. Because these devices are simple good/bad indicators, they offer no data that can be logged and used for inspection compliance trends. Data logging for performance can be done, but would require a person to walk around and log visual inspections. As regulatory drivers continue to improve patient safety, the technology within health care facilities across the country needs to keep up. Pressure sensing solutions that are accurate and reliable have never been more valuable. By future-proofing your facility and staying ahead of regulatory bodies like The Joint Commission, you have the opportunity to save valuable time and money better spent on improving patient health. CLICK HERE to learn about how employees can contaminate a clean environment.